AGS Vietnam Branch Manager, Kevin Hamilton participated in the Saigon Children Charity Cycle Adventure, to raise funds for disadvantaged Vietnamese children. 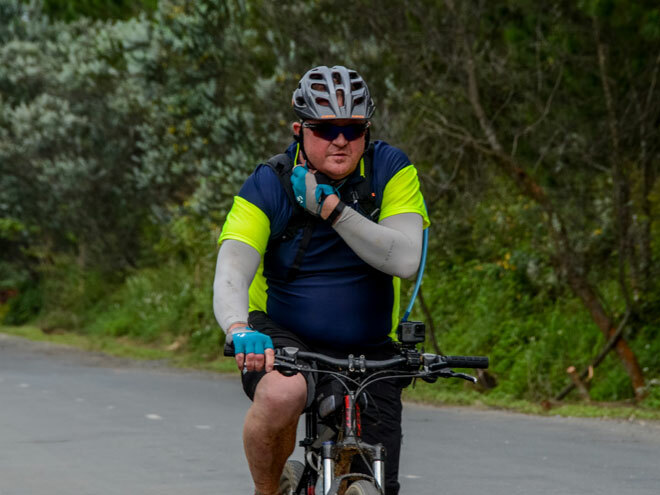 AGS Movers Vietnam Branch Manager, Kevin Hamilton participated in the Saigon Children Charity Cycle Adventure, to raise funds for disadvantaged Vietnamese children. The three-day event, which took place from 17th to 19th November 2017, covered a total of 300 kilometres through the mountainous terrain of the Vietnamese central highlands to the coastal city of Nha Trang. The 8th Annual Saigon Children Charity Cycle Adventure welcomed enthusiastic cyclists from all over the world. Founded in 1992, the Saigon Children Charity (SCC) supports over 2000 disadvantaged Vietnamese children with scholarships every year. The 8th Annual Saigon Children Charity Cycle Adventure welcomed enthusiastic cyclists from all over the world. “Thanks to the generous support of our donors, the SCC Child Development Programme provides scholarships to around 2000 disadvantaged children and young people, from kindergarten to university. It enables them to continue their education and reach their full potential,” Kevin said.